Globalization, and the consequent international exchange of goods, services, cultures, ideas, has brought increased wealth for many on the one hand, while exerting pressure on core societal values both in developed and developing countries on the other hand. Public opinion and policy makers have warned against the threat posed by international trade and liberalization to policies and measures meant to protect the so-called non-trade concerns (NTC), such as environmental protection, sustainable development, good governance, cultural rights, labour rights, public health, social welfare, national security, food safety, access to knowledge, consumer interests and animal welfare.When trying to protect these issues, developed countries have put into place trade measures that have encountered resistance or dissent in developing countries, being perceived as protectionist actions or as an attempt by the importing countries to impose their social, ethical and cultural values on exporting countries.The challenge of integrating Non-Trade Concerns embodies the willingness to overcome national egoisms and embrace universally a number of fundamental values, creating an ethical and juridical platform to win over cultural differences and issues of national sovereignty. 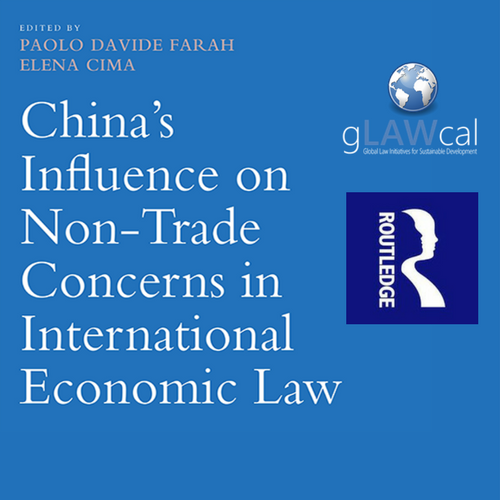 gLAWcal’s research aims at identifying ways to protect NTC within international economic law. 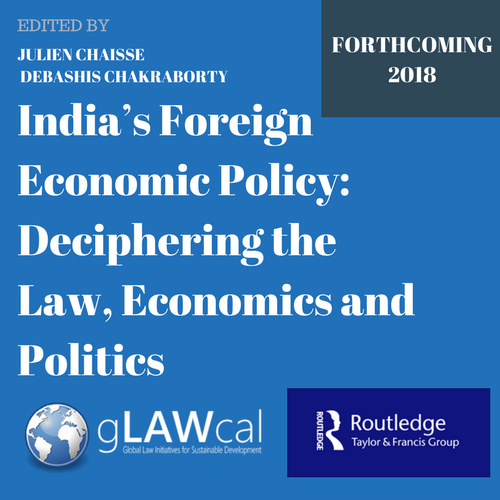 By shedding new light on developing countries’ trends towards inclusion of NTC in the domestic and international arena, gLAWcal provides a comprehensive perspective on law enforcement, creating a bridge between the international and the domestic realities. A new draft Dutch model BIT: A new “gold standard”? What impact will the mixture of soft and hard law measures of the Paris Agreement have on trade? How China is Shaping Africa's future? ŠVEC, Martin. International Investment Arbitration: Investor-to-State Dispute Settlement in EU Agreements. In Klára Drličková. Cofola International 2015: Current Challenges to Resolution of International (Cross-border) Disputes: Conference Proceedings. Brno: Masaryk University, 2015. p. 206-218, 13 pp. ISBN 978-80-210-8020-1. RADVAN, Michal and ŠVEC, Martin. Chapter 10: Czech Republic. In Michael Lang et al (eds.). 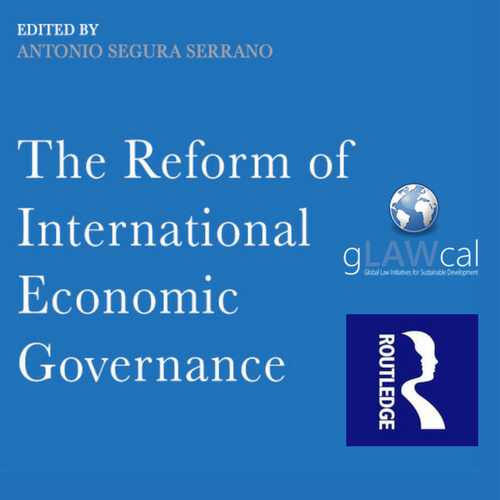 The Impact of Bilateral Investment Treaties on Taxation. 1. vyd. Amsterdam: IBFD, 2017. p. 257-282, 26 pp. WU Series, vol. 8. ISBN 978-90-8722-431-8. Bestagno, Francesco. 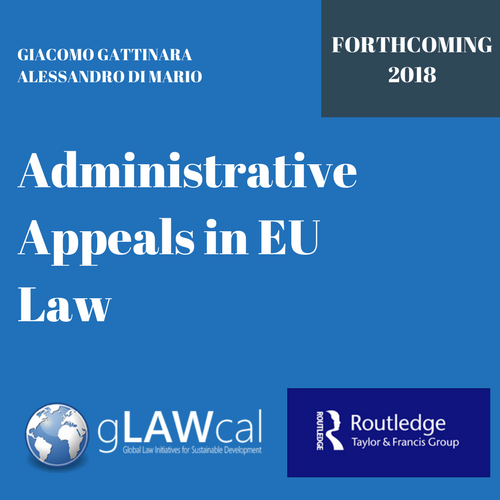 “Diritti, Doveri e Responsabilità Degli Arbitri.” BREVIARIA IURIS, 2010, 751–766. "El districto industrial y el desarrollo italiano" (The industrial district and Italian development) , I Seminario Venezolano de Gerencia: La PyME en el umbral del siglo XXI, Caracas, ASOPYME, marzo 1993. "Integrazione e regionalizzazione del mercato mondiale" (Integration and regionalization of the world market), in Le barriere non tariffarie e tutela del consumatore, edited by O. Calliano, Rome, Istituto per il Commercio Estero (ICE), 1992. 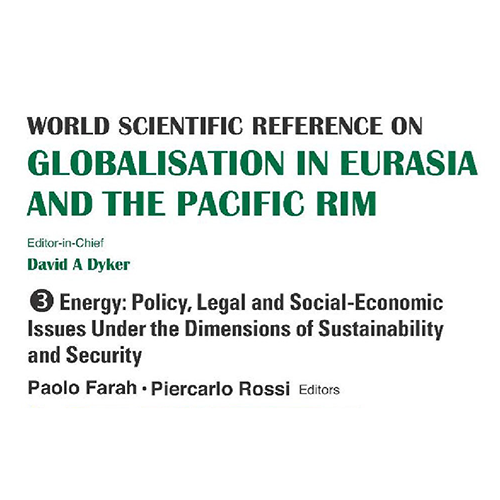 The International Trading Regime and the Regulation of Trade in Energy Resources: Is Reform Necessary and is a New Energy Agreement within the WTO Framework the Way to Go?